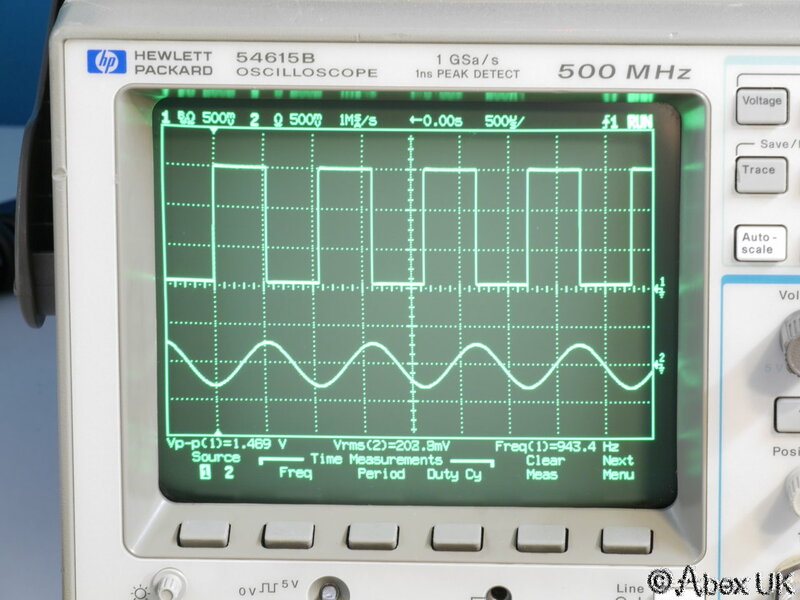 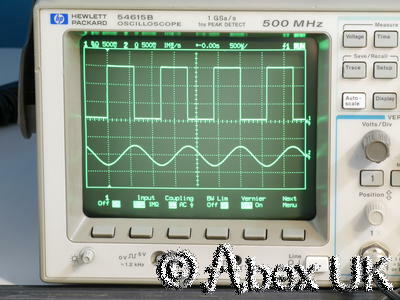 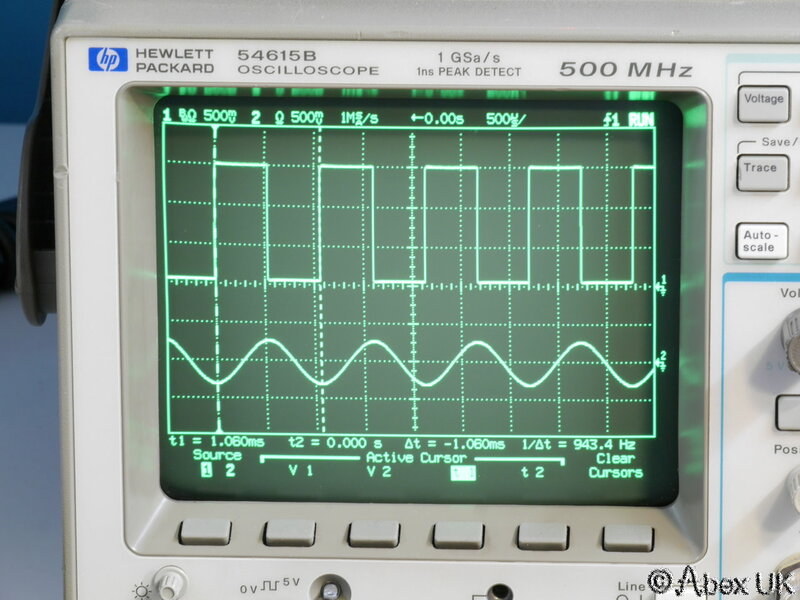 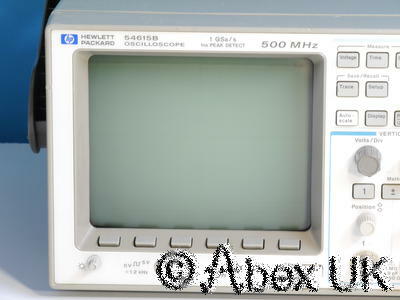 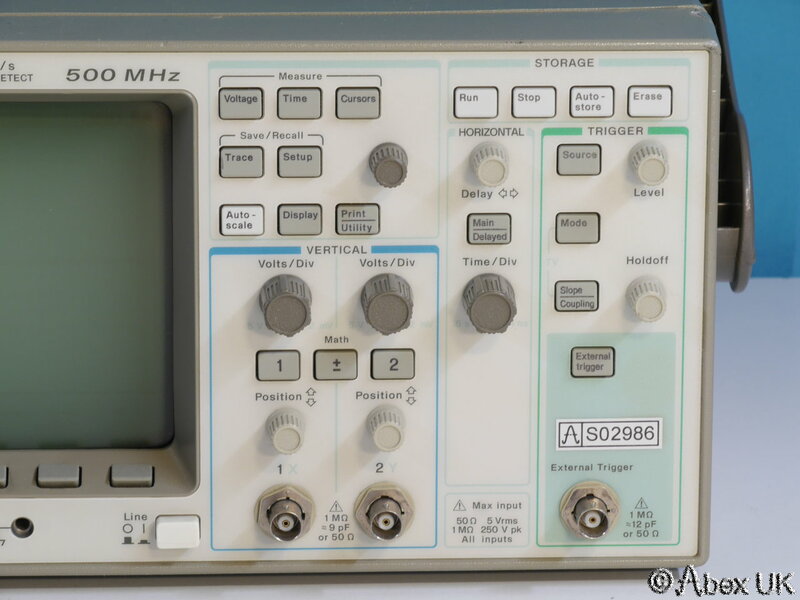 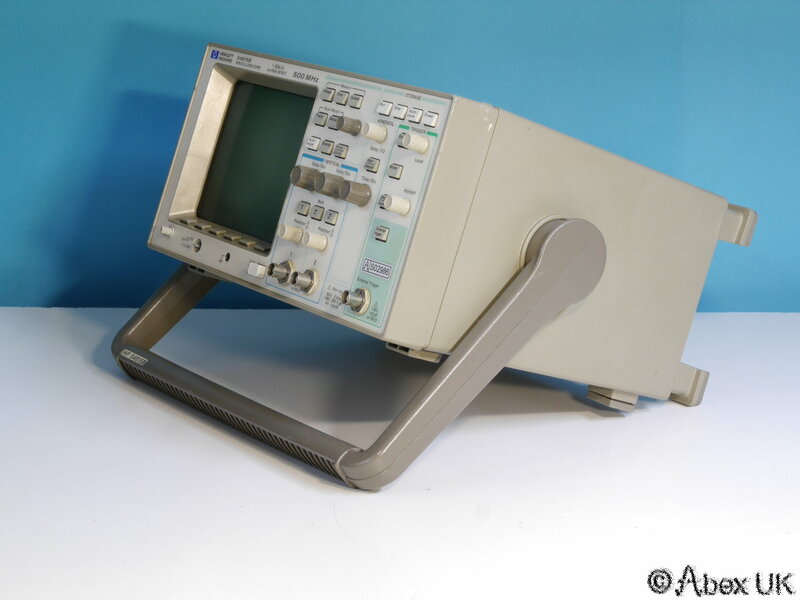 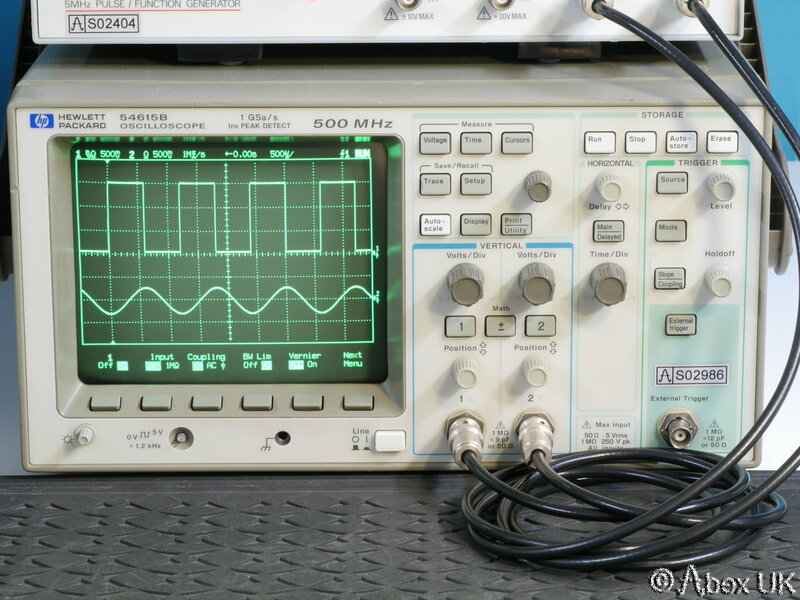 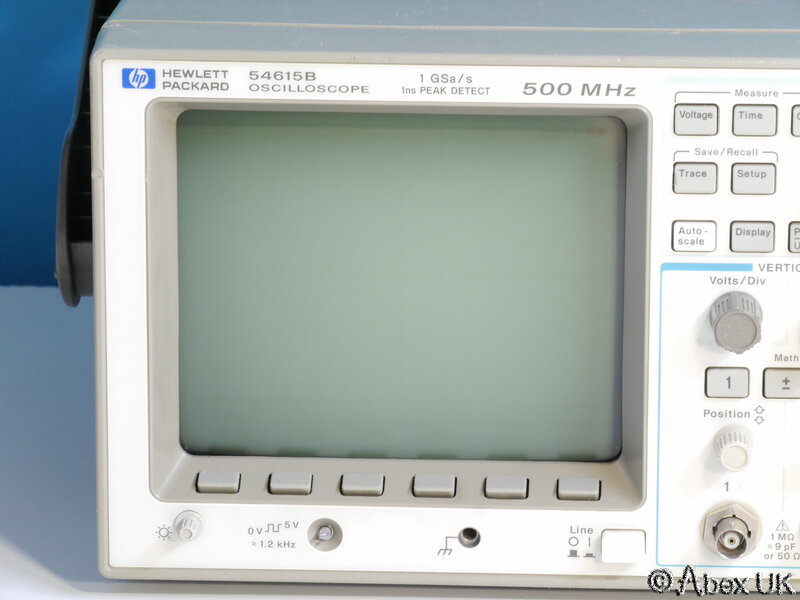 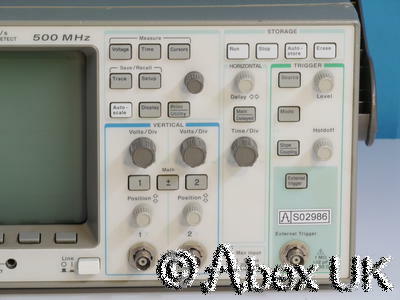 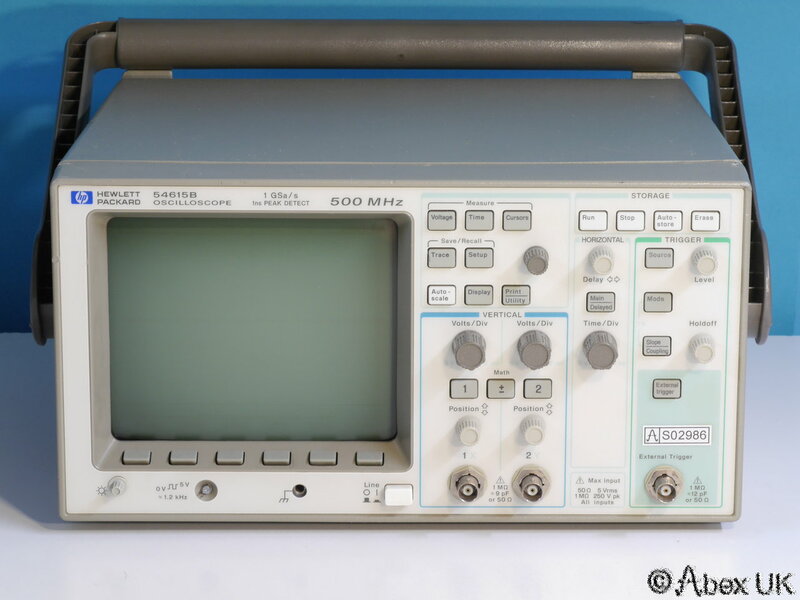 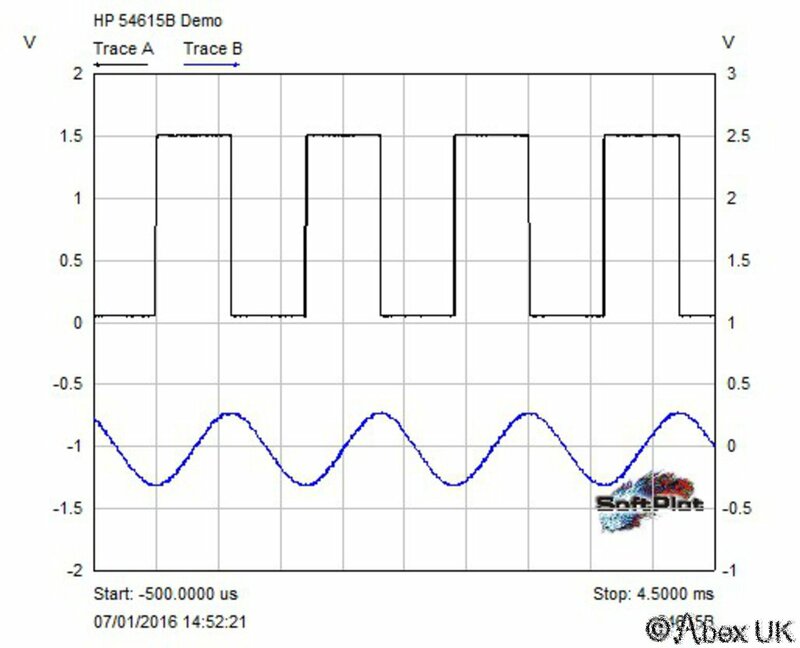 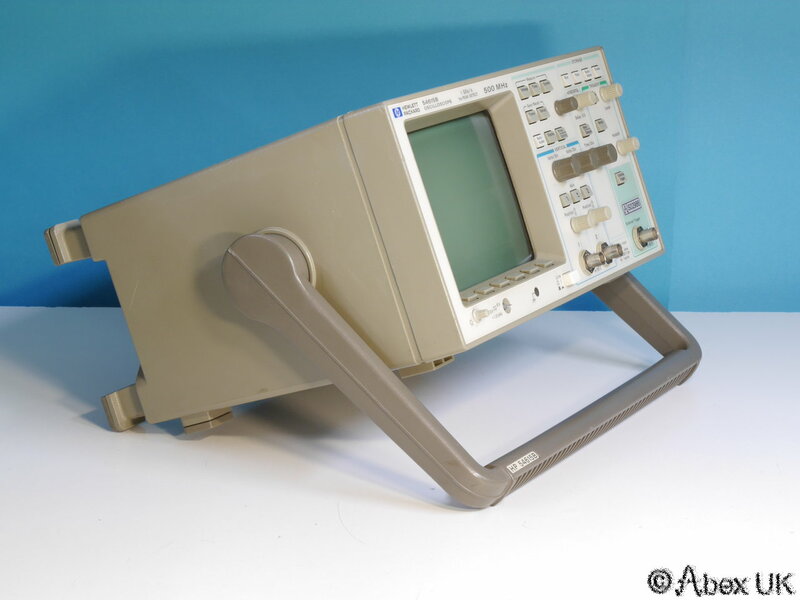 The HP 54600B is a high performance dual channel 500MHz Digital Oscilloscope which is extremely simple to operate, small and light. 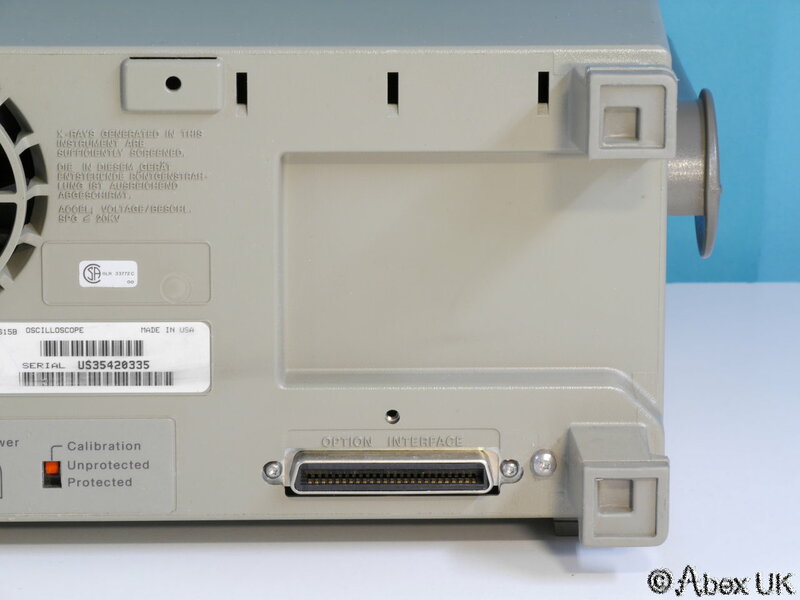 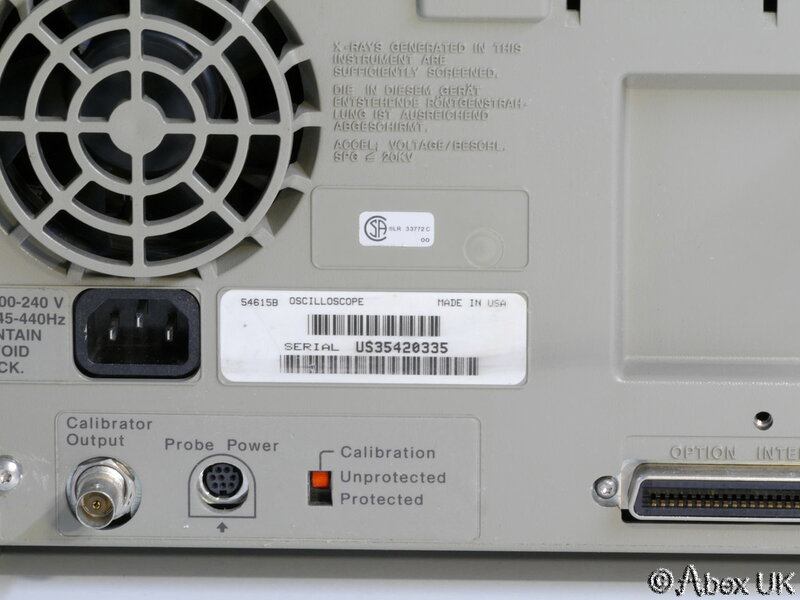 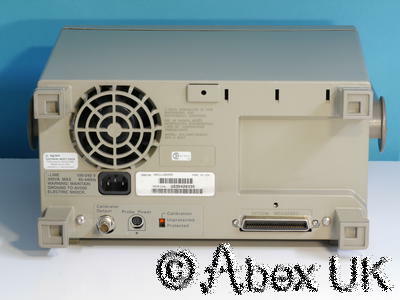 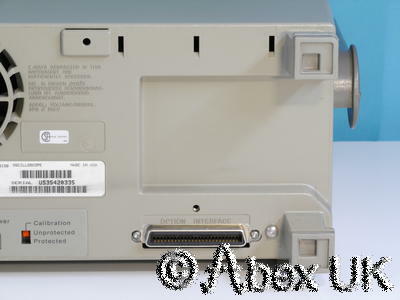 The optional (NOT included) GPIB interface allows capture of trace data e.g. 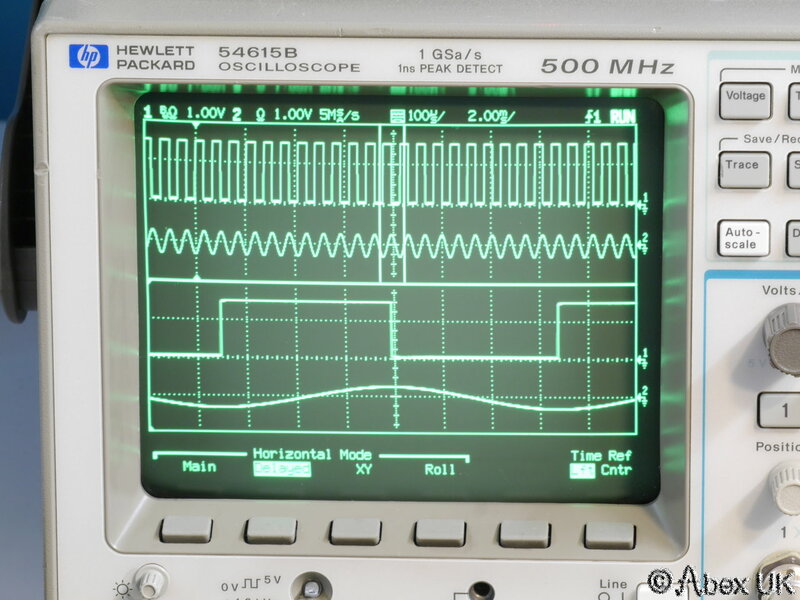 by "Softplot" and full ATE/remote control if required. 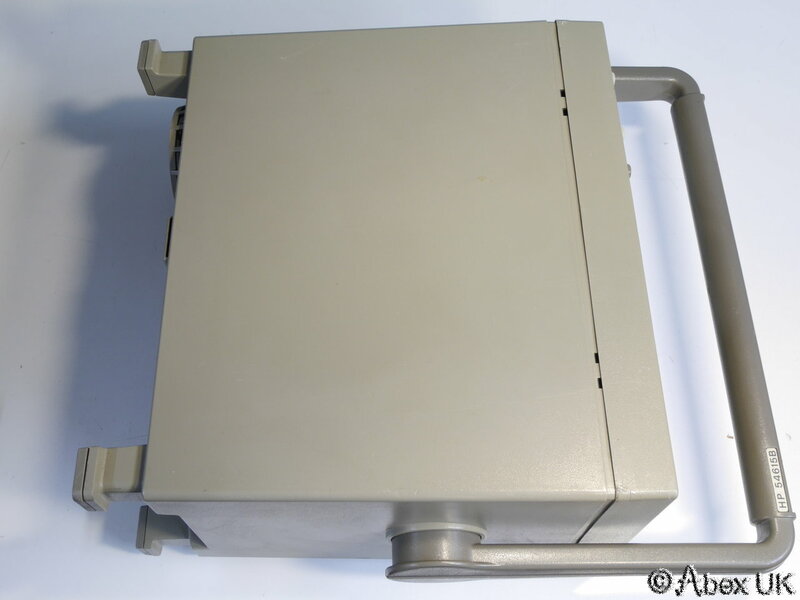 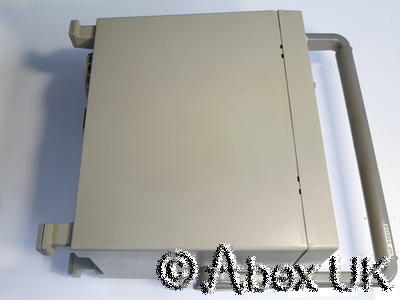 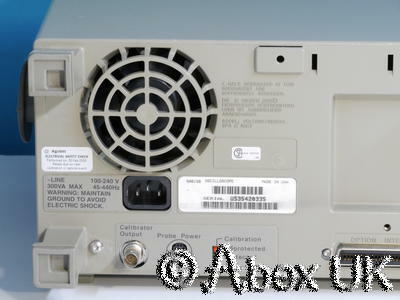 This unit is in good cosmetic condition and fully working. 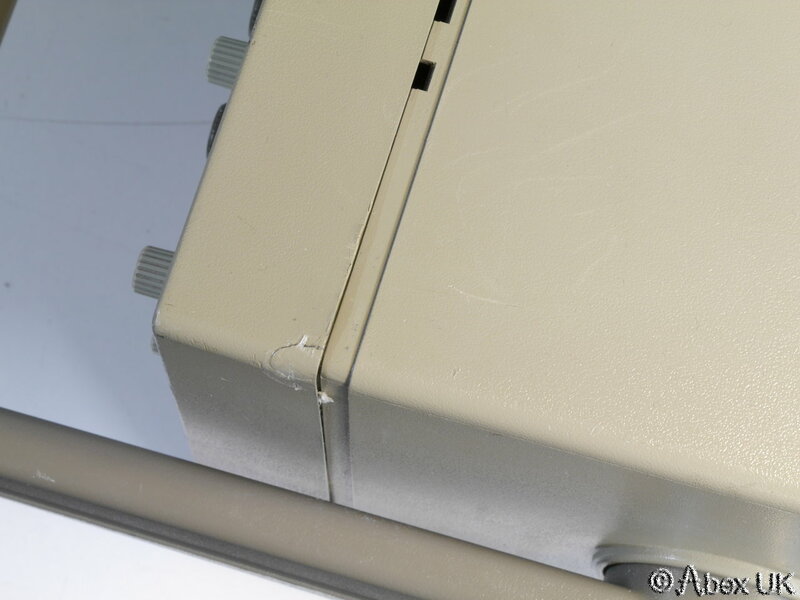 The carry handle is present. 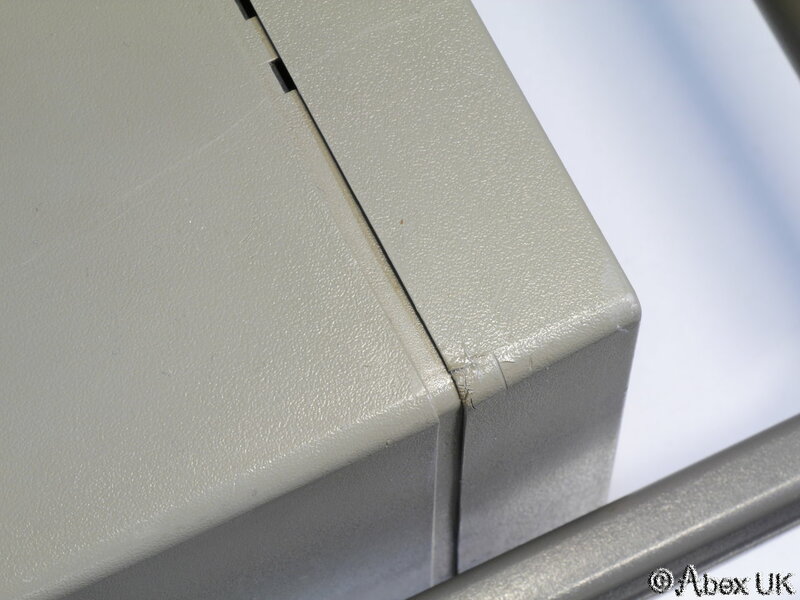 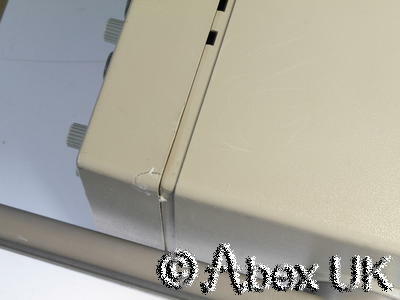 Some cracks in the plastic case, please see images below. No probes. Please note, items used for demonstration (e.g. 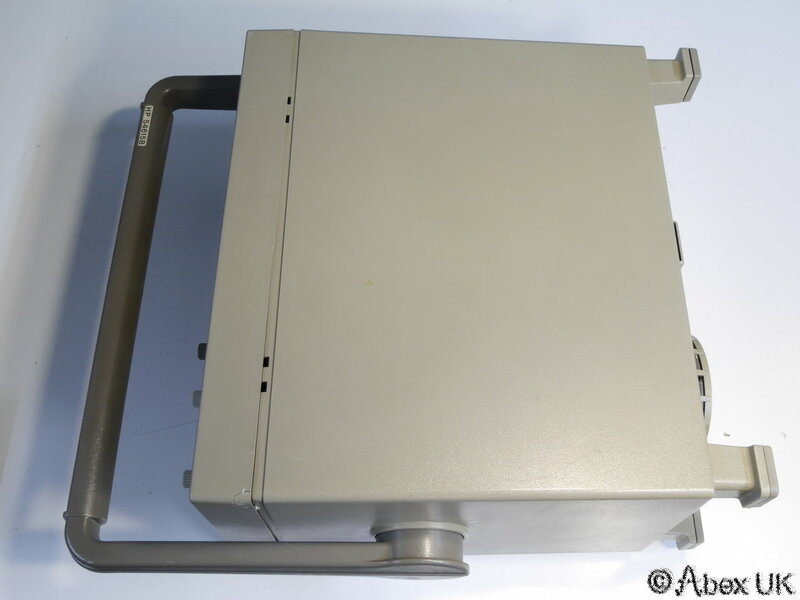 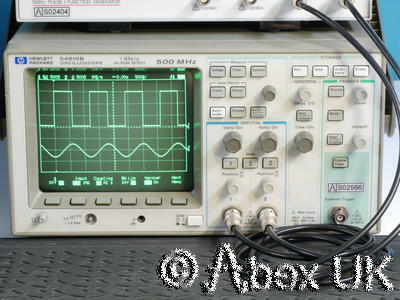 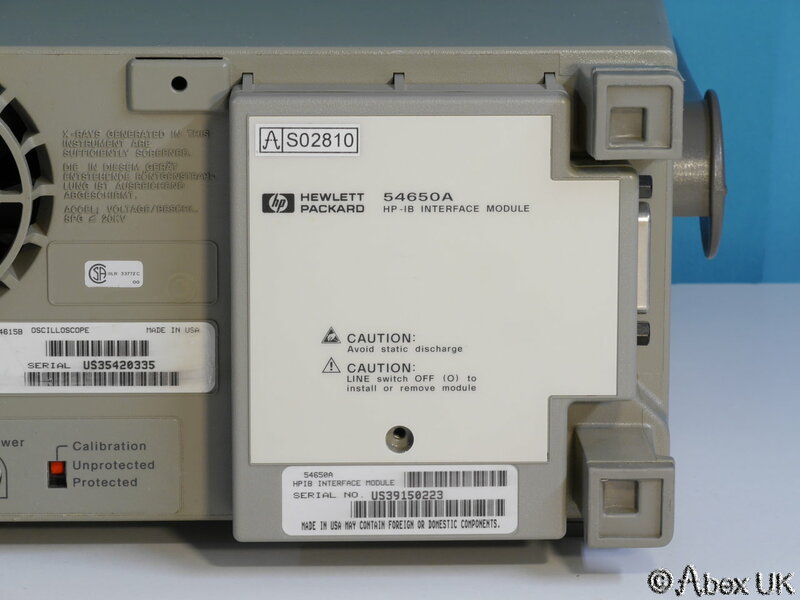 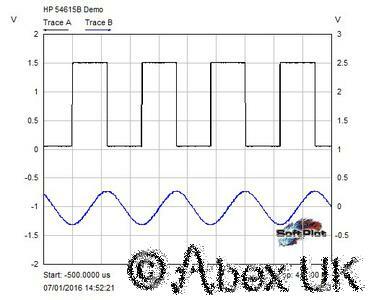 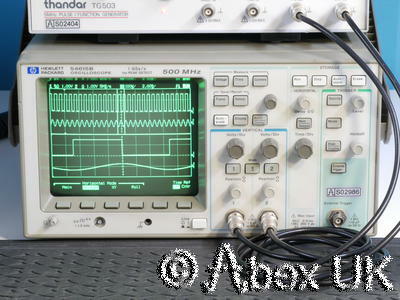 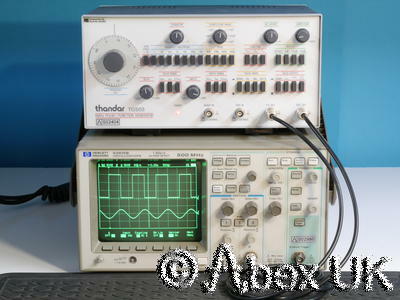 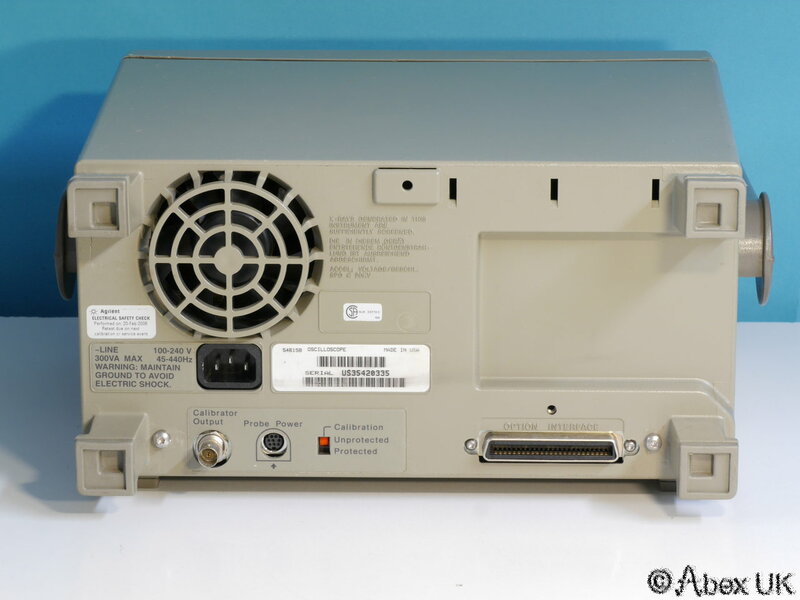 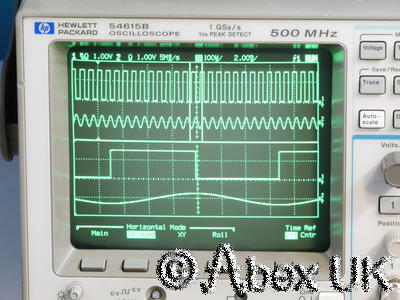 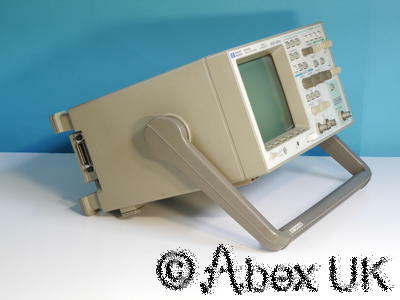 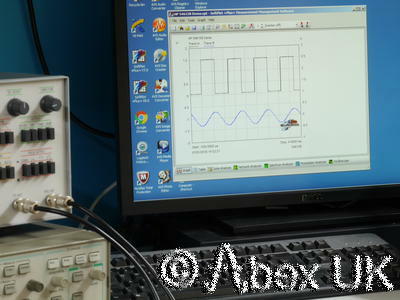 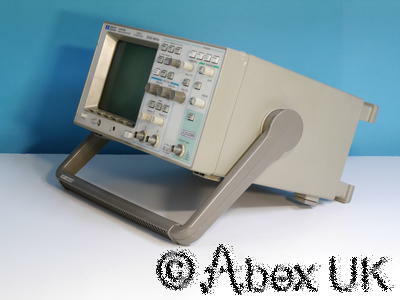 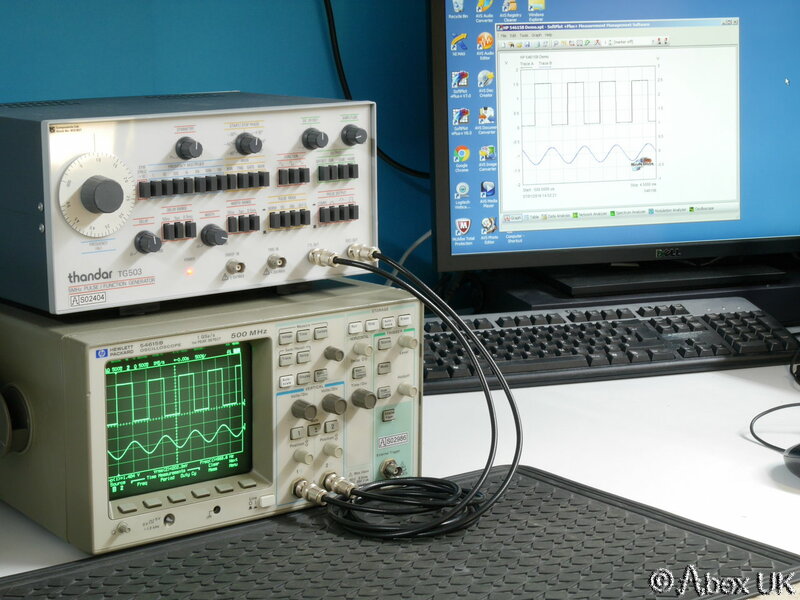 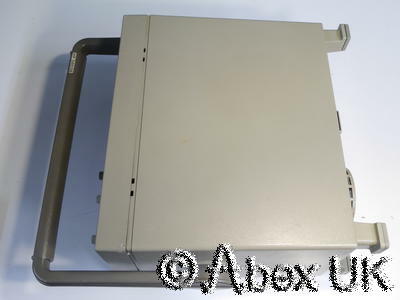 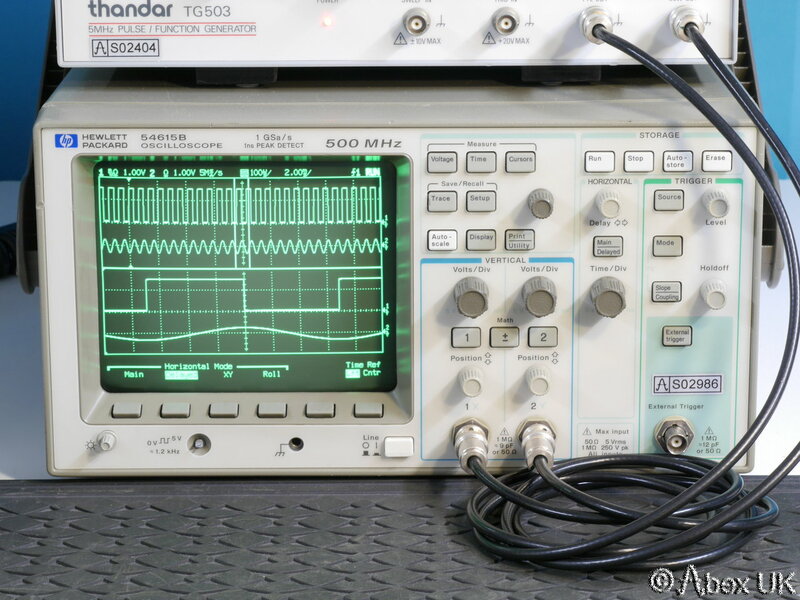 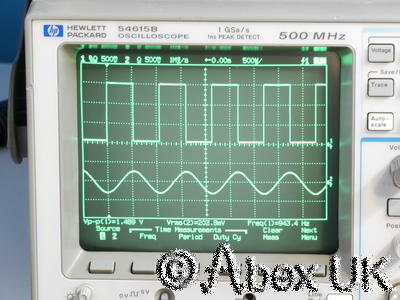 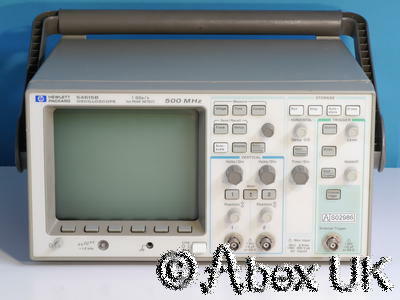 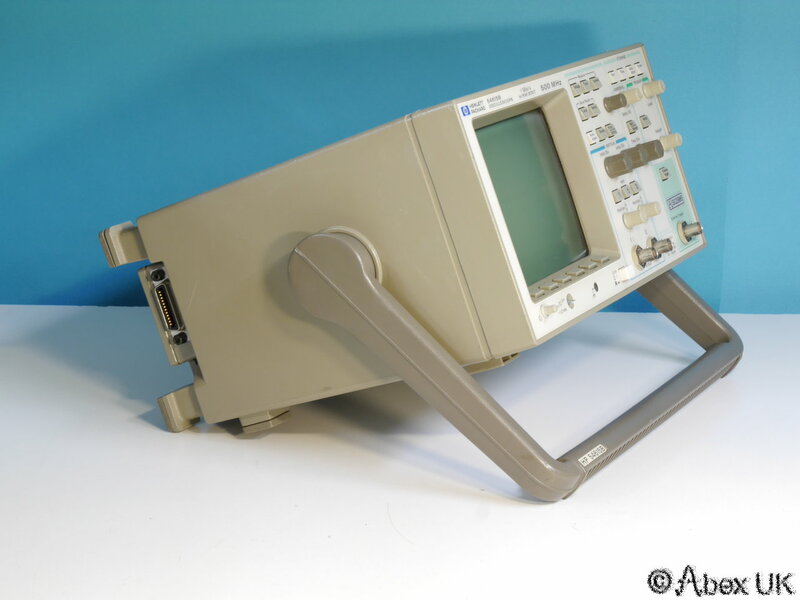 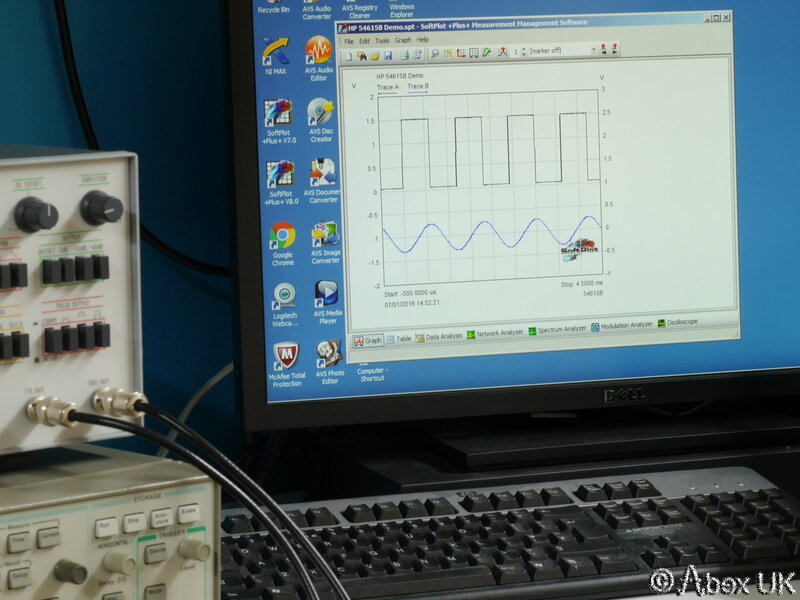 Pulse generator, 54650A GPIB interface, cables etc) are NOT included but may be available separately. Please see our other items.